Encore! Encore! I want to see more! 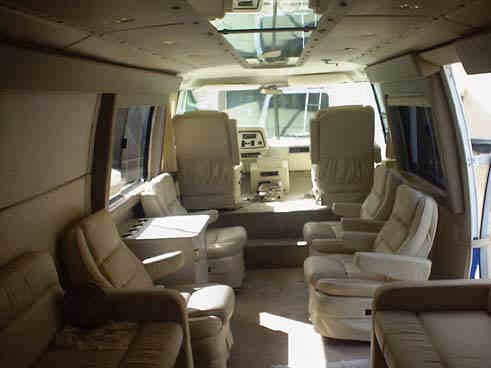 This 78 Encore Resorts coach is a 26′ limo. 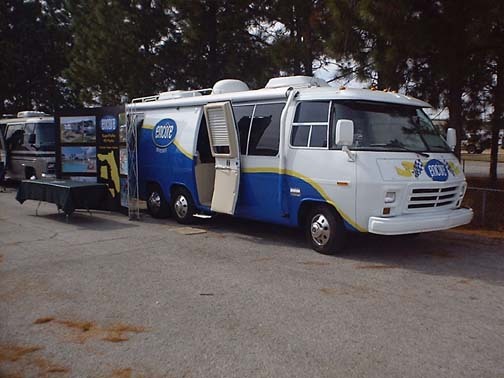 It is used to pick up guests and to visit their many RV luxury parks around the country. The coach is stabled here in Orlando but do not be suprised if you see it on the road. She gets an almost continuous workout. As a caution, do not try to out drive this beauty. She is not just a pretty face, the fresh 403 with many goodies twists a hopped up final drive, not to mention the “winner takes all” driver! 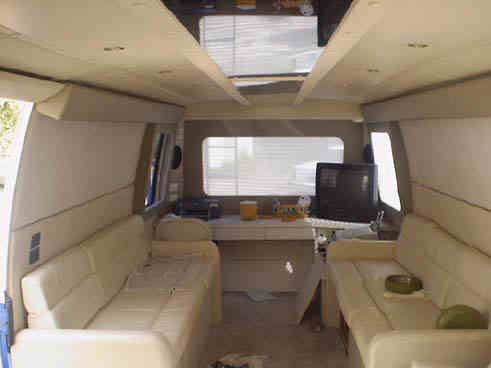 The interior is covered in glove leather, plush captians chairs throughout and an all time satellite big screen video system. If I want to travel in style, I’ll choose this set of wheels!